Embedded connectivity requires products being connected during production. The IoT industry is one of the most exciting emerging industries in the past decade. It has the potential to impact countless fields for the better, changing the way businesses function and the way people live. That said, it’s still in its early stages, and there’s plenty of room for improvement. One of the primary issues with the IoT industry as it is today is in the way that connectivity is handled. Despite the fact that connectivity is one of the core components of the Internet of Things, it is usually implemented as an afterthought. Consumers are often burdened with the task of finding their own data plans to power IoT, and once they do make that choice, they’re often locked in to one provider. But what if there was a better, more consumer-friendly commercial model for IoT? In this article, we’ll discuss how embedding connectivity as a core component of the manufacturing process has the potential to reshape the IoT industry — drastically — for the better. Before diving into how things might change, it first makes sense to take a look at some of the primary challenges that consumers face in today’s set up. Key to this debate is the issue of network lock-ins. So, what is a network lock-in exactly? You’ve likely experienced this with your own smartphones, when buying a phone with a particular provider prevents you from easily being able to switch to another provider, even at the end of a contract. Whilst you technically can change networks without changing SIM cards, this is currently restricted by most carriers, either because they do not own the rights of the SIM card key or because they don’t have access to the SIM management platform. Sometimes, it’s made tricky quite simply because carriers don’t want customers to be able to switch easily. While it is easy enough to switch to another network provider by replacing the SIM card in a mobile device, it is almost impossible for IoT given the lack of access to the physical device. This is made yet more tricky as embedded SIMs remove the need for physical card insertion. To align business models with current IoT advancements, vendor switching should therefore be the default, rather than the exception. In actual fact, though, the current model is quite the opposite. IoT device customers often receive their IoT devices without SIM cards, forcing them to choose a network provider on their own that is likely to lock them into a particular service. This consumer-unfriendly practice makes switching networks a hassle, reducing the agility of companies trying to invest in new technology. Some IoT device manufacturers have started implementing eSIM (eUICC) standards (electronic SIM cards). While this solution is a little more flexible than regular SIMs, eSIMs usually present users with their own set of issues — namely, commercial agreements. eSIMs initially connect to a particular network through a bootstrap profile. This profile can lock you into a commercial agreement with the network, forcing you to make payments to that provider — even if you don’t use their network in the long run. Not only that, but during the manufacturing process, eSIMs are locked into a commercial agreement with an eSIM management platform — yet another cost that gets passed on to the customer. So even though you might be able to avoid a network lock-in, the embedded commercial agreements can be equally binding. Given this swathe of issues, it’s time for the IoT industry to replace these outdated network practices with a secure, flexible, and reliable connectivity alternatives. Rather than being an afterthought, connectivity should be built into a device — especially when it’s primary benefit comes from its ability to connect with other devices — seamlessly and affordably. Providing IoT users with embedded connectivity solutions helps to demystify the IoT industry, makes implementing the technology faster and smoother, and allows businesses to fully reap the rewards of this exciting tech. Having IoT devices internet-ready at a manufacturing level allows for connectivity testing before your products have even left the factory. Being able to test the connectivity of your products before they are shipped reduces potential risks and offers IoT customers a better product. It also reduces costs and saves time, as connectivity implementation is rolled into the manufacturing process. It adds a new dimensionality to Plug and Play without requiring customers to add extra processes (or needing particular technical expertise) to connect their products, which costs them time and money. Choosing to embed connectivity into your devices before their shipped also allows you to control what kind of connectivity options the devices will be capable of. This way, you know that your IoT products will be on the most secure networks possible, improving device security across the board. Connect earlier. Ship globally. Pay only for data use. The purpose of a SIM card is to provide your IoT devices with a network connection so that they can send and receive data. Because data is the primary source of value that IoT network providers offer their users, users should only be charged for the data they actually need — not how many devices they have connected. This means that if a device isn’t using any data, you aren’t being charged. This reduces the overhead of IoT connectivity while also providing you with a flexible solution. Products can also be tested easier on the factory floor, since activating devices early on won’t result in excessive device fees. This commercial model also caters to edge computing, which aims to reduce the amount of data that each IoT device transmits. The further you push your computing to the edge, the more you’ll save on data. Being connected to a secure, global network is integral to the success of any IoT device. Why? Well, IoT devices can (and usually will!) be deployed across the globe. Keeping your IoT armada in sync therefore requires a reliable, globally available network solution. A global network allows you to deploy your products with maximum coverage and complete peace of mind. Not only should SIM cards be globally connected, but device agnostic as well. 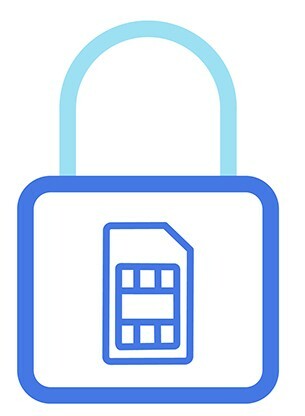 A global and agnostic connectivity solution would empower IoT users to deploy SIM cards into any device, anywhere. IoT gather, receive, and send out a lot of data — it’s an essential part of their routine. These data streams, however, can bog down a network, resulting in high fees, slower speeds, and more complex IoT structures. One of the best ways to cut back on this data usage is to send small data packets. Small data packets are manageable amounts of information that are sent and received in the most optimal way possible, keeping your data costs down and productivity high. Smaller data packets also conserve device battery, extending the lifespan of IoT products. Another way to simplify a device is in the way that products firmware manages the data transmission. Devices responsibility should be only to send the data, not know where/how the transmitted data is stored. Keeping this information away from the device and adding it in the network level reduces the complexity of the product firmware and reducing the risk of bugs, but also allows the products to focus on what they’re supposed to do — accomplish something for the customer. The benefit produced from using network level data preparation actually follows on to help to lower one of the biggest challenges of IoT products, the connection management platform. IoT platforms have to manage potentially thousands of connections successfully. Currently, any changes further down the connectivity chain, such as new packet header requirements from a cloud service or changing cloud service provider requires an Over The Air (OTA) firmware update for every device. While the majority of the updates are successful, having to update every device, every time something changes takes time and effort, it can also risk transmission failures or unforeseen firmware bugs resulting in unusable products. It also creates a large opportunity cost for switching cloud service, making it difficult to remain agile to meet future opportunities. Reducing the frequency of OTA updates reduces the risk of product failures that create terrible experiences for the customer but also save the company time and stay agile. The pricing structure of any IoT product is one of the essential aspects of its commercial success. 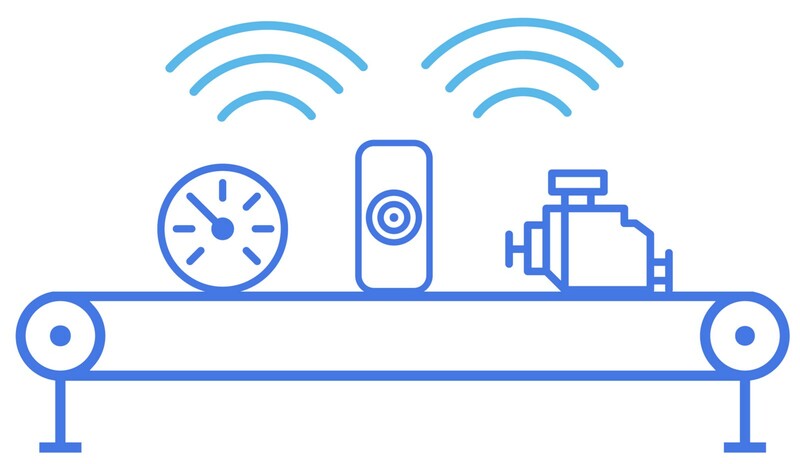 For that reason, rather than treating billing as an add-on to IoT, connectivity should be factored into a device upfront. This may seem like a tricky thing to do, but in actual fact, data packets from connected devices are reasonably consistent throughout the product’s life cycle. By knowing the average lifespan of the product, how much data it’s likely to transmit and how often, and finally, how large the software on the device is, you can create a reasonably accurate estimated data volume for each device. Using a data only pricing model, you can then incorporate this estimate into the product at a price-level. While this may not be applicable for all products, shifting to this mindset could create enormous perceived value for your customers. After all — customers want simple, integrated solutions, which is exactly what having billing embedded at a product level will allow you to do. Is a new commercial model for IoT truly possible? Connectivity is what puts the “I” in IoT. Unfortunately, it’s also one of the most rigid and costly components of an IoT platform — but it doesn’t have to be. At Onomondo, we’re leading the way in what we believe is the future of IoT connectivity. It’s for this reason that we have developed our global network with the commercial potential of IoT firmly in mind. Get in touch today to find out more about how we can support your business with our new commercial model for IoT connectivity. Discussing the implications and considerations of IoT and challenges in connecting and staying agile. Connectivity for IoT is vital, yet very complex. It is the back bone of any IoT project or smart device and its challenges and implications should be understood by all.